It’s no secret that we prefer the convenience, durability, low-maintenance, and beauty of acrylic replacement baths here at Bath Makeover of Arkansas. 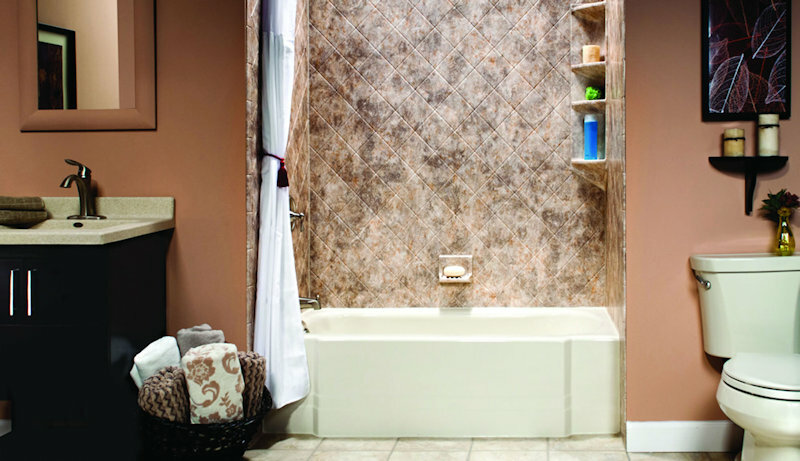 It’s our affinity for this type of bathtub that led us to our article topic. We’ve installed thousands of acrylic baths throughout the state so it should go without saying that we know our way around a tub, which includes keeping a well maintained bathtub. Today, we’re going to go over the proper way to keep your acrylic tub beautiful and shining. Prepare: As with most things in life, the first step to take is preparation. This step entails preparing your bath for cleaning, which means removing items like soap, shampoos, washcloths, etc. Doing this ensures that you’ll be able to detail every spot of your bath and gives you the opportunity to clean these items so they won’t dirty up the space you just cleaned once they are placed back in your bathing space. It’s also wise to make sure that you already have all the necessary cleaning supplies before starting. This includes having a cleaning solution ready along with a microfiber cloth or sponge. Cleaning: There are several methods for cleaning out the inside of your bath. One of the more popular ones are with a half and half solution of white vinegar and warm water. Mix this solution and spray onto your tubs surface. Let it sit for approximately 15 minutes, wipe, rinse with water, and wipe once again. This provides a deeper clean that doesn’t require abrasive solutions and scouring pads. Another popular method is to fill your tub with warm water and add a few squirts of dish liquid. Drain after roughly half an hour and wipe away any residue with a sponge or microfiber cloth. Cleaning the Outside: This can be just as important as cleaning the interior of the tub and should not be overlooked. You can use the same half and half cleaning solution from the previous step or dish soap. Alternatively, for stubborn soap scum, we recommend a reputable all-purpose spray cleaner. Polish: An optional step is to apply polish that helps your bathtub keep or restore its beautiful shine. Car polish performs exceptionally well for this task and since it is resistant to the constant exposure to water. Simply apply, rub clean, dry, and wipe. Maintenance: Perhaps the best tip for cleaning any type of bathtub is general upkeep and routine cleaning. Every time you finish using your bath, just take a few extra minutes to rinse out your tub and wipe away any extra remaining moisture with a microfiber cloth, squeegee, or sponge. This goes a long way in keeping soap scum, mildew, grime, and tub stains from forming. If cleaning your bathtub isn’t doing it for you and your bath just won’t come fully clean, then replacing it may be your best option. Fortunately, that’s our specialty and we have a fine selection of replacement acrylic baths from which you can choose. Find out more about our great baths by contacting us today and scheduling your free consultation. Also, check back soon to find more helpful hints from your friends here at Bath Makeover of Arkansas.